I have talked several times before how hard it was for me to find an affordable and, especially, comfortable maternity and nursing bras when I was pregnant and nursing. Breast size flunctuates so much during nursing and I just never knew what size I was or was going to be. Plus, I really needed a supportive and comfortable bra to wear 24/7 because of how engorged I got! Well, I am so happy to share for all other nursing moms out there that Leading Lady just launched its new nursing and maternity intimate apparel line, Loving Moments® by Leading Lady, at Wal-Mart® and WalMart.com and they are really comfortable and affordable bras for every nursing mom! Loving Moments by Leading Lady makes it easier than ever for expecting and new moms to find quality nursing essentials for an exceptional value. The new brand from Leading Lady provides new moms with quality, affordable nursing intimate apparel in fun and fashionable styles. Featuring playful stretch lace, cute and supportive nursing tank tops, soft comfortable sleep and leisure bras, seamless every day styles, as well as washable nursing pads, Loving Moments has a nursing bra for every occasion. 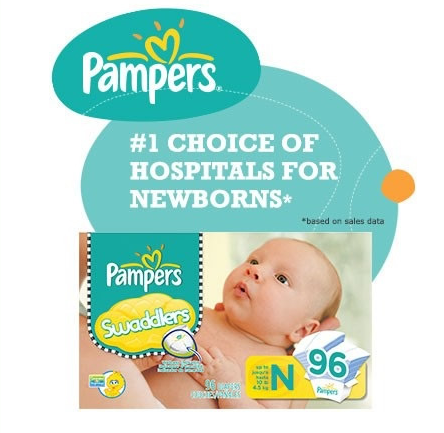 And on top of great prices and comfort, they are also teaming up with Pampers to offer a limited time gift with purchase! New moms will receive a free sample of Pampers Newborn diapers and wipes with the purchase of the Loving Moments Wirefree Sport Nursing Bra or Loving Moments Nursing Bra Tank at WalMart.com. The kit also comes with resources to access breastfeeding tips, sizing assistance and product information from Loving Moments to hel p new moms begin their breastfeeding journey. The gift with purchase is available throughout April and May. As an added bonus, moms can enter to WIN a complete Loving Moments by Leading Lady Nursing Bra Wardrobe and a one year supply of Pampers diapers at LovingMoments.com. The sweepstakes runs through June 30, 2013 and no purchase is necessary. Visit the website for complete details and rules. Available only at Wal-Mart® and WalMart.com, Loving Moments is easily found where moms shop – in stores and online – making it just a little bit easier to save on the essentials needed to welcome a new baby into the family. I received two of these great Loving Moments bras to try out: the Molded Wirefree Nursing Bra and the Seamless Bralette Nursing Bra. They were both super comfortable and affordable: the perfect combination for any new mom! This soft, molded wirefree nursing bra with lace neckline is great for fitted tops. The Polyester/Spandex blend allows for a smooth comfortable fit. The one-handed clasp allows for quick and easy nursing and the inner sling and elastic under band support the breast while nursing. The back closure and straps adjust for a comfortable fit. I loved that this bra gives great support without any irritating wires. Plus, it is a great t-shirt bra perfect for fitted tops. It is easy to nurse in and really comfortable! My favorite bra from the line has got to be this Seamless Bralette! The soft, flexible Santoni fabric shapes and supports with seamless comfort. Knit-in bottom band stays in place without rolling and it features no irritating seams—this style is great for lounging or low impact activities. One-handed clasp allows for quick and easy nursing and the inner sling supports the breast while nursing. Back closure and straps adjust for a comfortable fit. This bra is perfect for the early months of nursing because it allows for growing and changing breast size but it is so comfortable while being supportive! It is easier to nurse in and the perfect bra to wear those early months when it seems like all you are doing is sitting around nursing! Plus, the blue color is so pretty and feminine! So if you are pregnant or nursing and starting to think about an affordable nursing bra, I definitely recommend the great Loving Moments by Leading Lady nursing bra line that is available at Walmart. They are easy to find and comfortable to wear throughout all the months of nursing! Buy It: You can purchase the Loving Moments by Leading Lady nursing bra line at Wal-Mart® and WalMart.com. Win It: Leading Lady is generously offering (1) item from the Loving Moments by Leading Lady Collection + Loving Moments by Leading Lady nursing pads + a gift pack of Pampers Newborn diapers & wipes to a lucky winner!